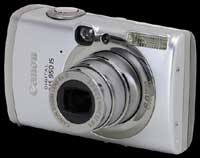 The SD850 IS (IXUS 950 IS in Europe) was first announced in May 2007 as a replacement for the Powershot SD700 IS. It constitutes only a relatively subtle upgrade. Visually the SD850 is virtually indistinguishable from the older model (only the color of the camera back has changed, from black to gray), and there are only a handful of modifications to the specification of the camera. Most notably the sensor now records 8MP images instead of 6 and the resolution of the 2.5" screen has been increased to 230,000 pixels. The 'digital heart' beating in the SD850 is now the latest generation of Canon's imaging processor, the DIGIC III. With the new processor there come a couple of new features too: Face Detection and the useful Auto ISO shift option.